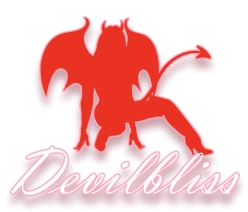 Welcome to Devilbliss Studios home on the web. There is a TREMENDOUS amount of info here. Please look around. If you are a model and want the most up to date info and be able to join our conversation in a private Facebook group of all women who are very very supportive of one another we can not encourage you more to join “I’m a Devilbliss Girl” here. If you want to get a sense on pricing we have that listed here, clearly, nothing hidden, most all sessions are complete meaning no session fee followed by not so clear product you must purchase. Devilbliss Studios is the photographic side of Michael Bann, creator and publisher of the legendary Retro Lovely Magazine. We really tried to keep this site as concise and compact as possible. Trouble is, we also know providing our clients and future clients with as much information as possible is a good thing. Take some time to investigate what is here. Be it general information about our shoots, specifics about them or information and testimonials as to what to expect, you’ll find a wealth of information here. Do review the pricing to get an idea of what you are looking at. Our sessions range from $175 specials through full day sessions where the sky’s the limit. One thing for sure though is that the pricing is clear and public. Starting prices are shown, you don’t have to wonder if it’s a floating scale. We also do not require you to purchase print packages at highly marked up prices, in fact we do offer you the option to purchase prints at exactly the same prices you’d get if you uploaded them yourself. Look Books too! So thanks for visiting and if you have any questions please contact us.